This is either a coincidence or a crime wave. Milwaukee police found 6,600 greeting cards in a car belonging to postal worker Ebony Smith. In March, she admitted to stealing cash and cheques from the cards to pay bills, and was given probation. In Boston, meanwhile, another mail carrier was in court in March. Stephanie Lacroix was accused of opening greeting card envelopes to look for gift cards. Allegedly, she also stole and activated credit cards that were mailed to the people on her route. Lacroix did it often enough to make off with $37,000. She pleaded guilty to mail theft, and is awaiting sentencing. So that’s at least two people who are big fans of greeting cards. Noteworthy, because the numbers are dwindling. USA Today recently reported that it may be time to send Hallmark and American Greetings a sympathy card. 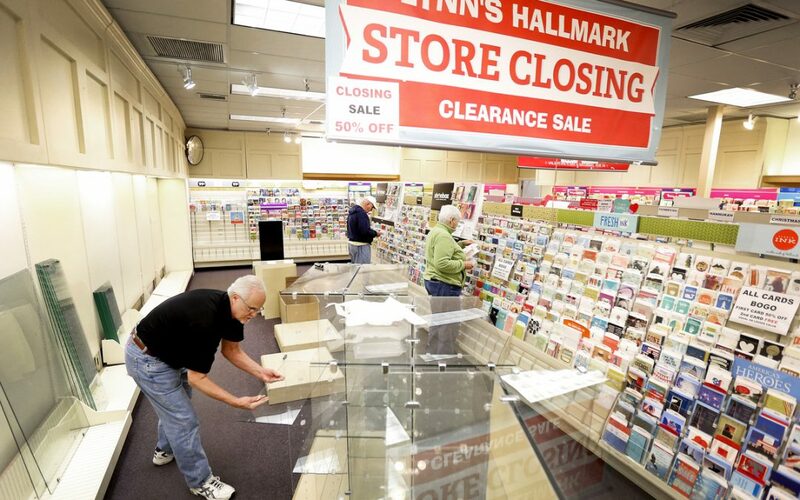 Sales are declining, card-makers are bleeding jobs, and in the last five years the amount of retail space occupied by greeting card stores fell by more than 27%. There is a glimmer of hope from one market. Millennials. According to reports, the big card-makers, as well as niche outfits, are seeing interest from this demographic. Why would a generation immersed in digital communication and social media prefer paper to e-cards? Precisely because the physical card is the antithesis. It has permanence, so it’s perceived as more meaningful. That’s what Lindsey Roy, chief marketing officer at Hallmark, told USA Today. She suggests that physical cards are a reaction to “a world that’s fleeting and fast”. Millennials are flocking to higher-quality cards from specialty manufacturers and retailers, beyond the mass-produced variety. They’re also drawn to handmade cards, either purchased or crafted in part by them (e.g. with photos integrated). Greeting cards have become another artisanal product, like a small-batch jam. The sensory experience is powerful. Cards hit on sight, touch and smell, notes Joanne McNeish, a marketing professor at Ryerson University. When people take the time to select and send greeting cards, they’re also saying something beyond the sentiment inside. The handwriting on the card, whether scribbled wishes or even just a signature, speaks volumes too. McNeish isn’t surprised that slower and more personal communication might appeal to a digital-minded cohort. Writing for The Conversation, she says that paper has a meaning “beyond its function as a data-carrying device”. “Information presented on paper is presented as the author intended. There is no computer, tablet or phone altering the author’s design and layout. Paper is the ‘device’ that provides consistency between the writer and the reader,” McNeish writes. She continues: “A paper card sent in the mail, chosen with the sender in mind, communicates more than the message inside. It speaks to the effort the sender made for the receiver, and the importance of that person in their life. The millennial fans of paper cards are on to something. True, it’s easy to send e-cards and digital gift cards. All with no fear of a postal worker snatching the contents. But there’s something to be said about a handwritten greeting card, thank-you note or letter. Those are the sorts of items we keep in a shoebox for posterity. When’s the last time you printed out an e-mail, text or e-card as a keepsake? Stuart Foxman is a Toronto-based freelance writer, who helps clients’ products, services, ideas and organizations to come alive. Follow me on Twitter @StuartFoxman, connect with me here on LinkedIn, or check me out at foxmancommunications.com. I would love to hear from you. More articles like this coming, with original posts every week about communications, writing, branding, creativity, media, marketing, persuasion, messages, etc., etc. If Cheating Pays, Who Bears the Cost? © Foxman Communications 2007 - 2019. All rights reserved.